This year has just breezed on by. It was a fun one with tons of learning experiences and I'm so excited for 2013. Of course, my passion for interior design will continue to grow and I've been brainstorming some new ideas for the blog so stay tuned. I'll leave you with this insightful post via The Simply Luxurious Life on turning your goals to reality. Jump on it. Have a fabulous new year and be sure to have some fun tonight. Cheers! 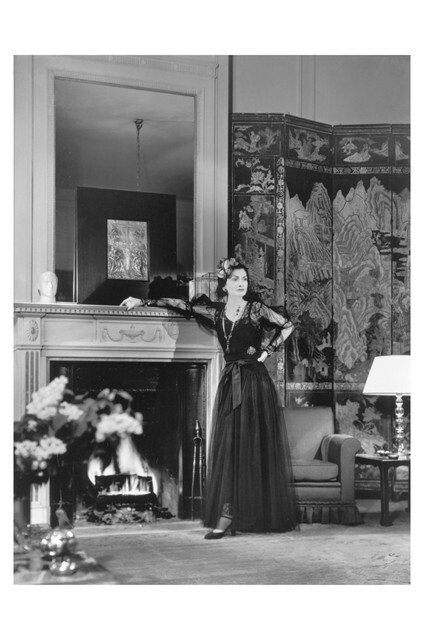 I came across this quote from Coco Chanel and couldn't agree more. It makes sense even in terms of blogging. Rather than following what every other blogger is covering, be bold enough to stay true to your passion and those things that you find interesting. You'll always win with this strategy. 1. Giada De Laurentiis' Website. I happened to meet Food Network star Giada De Laurentiis on the street here in New York the other night (see the pic above), so I decided to check out her website and there's so much to love. It's full of tips on kitchen essentials, food styling, and more. 2. West Elm's Blog. Its 'Guest List' section frequently features candid interviews with lifestyle bloggers. I always discover new blogs just by reading these posts regularly. 3. Newtown News. I feel so sad about the tragedy that took place at Sandy Hook Elementary School in Newtown, Connecticut. I can't stop reading the profiles of the victims just trying to make sense of it all. It just doesn't make sense. All those impacted are in my prayers. And if you haven't seen this Wall Street Journal story, give it a read. In addition to being a lover of interior design, I'm very much into staying on top of the latest beauty trends. If Nars launches yet another blush (my favorite is Exhibit A), you better believe I'm all over it. If I meet a friend for dinner and she shows up in a stunning red lipstick, I'm definitely asking about the color. And my Sephora Beauty Insider card is in frequent use. But to keep makeup fun, my stash needs to be organized. To do so, I rely on a few things. I'm not sure what I'd do without this case. It takes up very little space on my dresser and easily holds everything from my eye pencils to foundation. As you can see, I even use the top of it. As you've probably heard from any makeup lover, applying makeup well is about having great brushes. I use Bdellium brushes, and now have my eye on sets from Sigma and Suqqu. Anyway, to keep them all in one place so I'm not scrambling when getting pretty, I use a number of simple vases and glasses that I've snagged at flea markets and even Target. 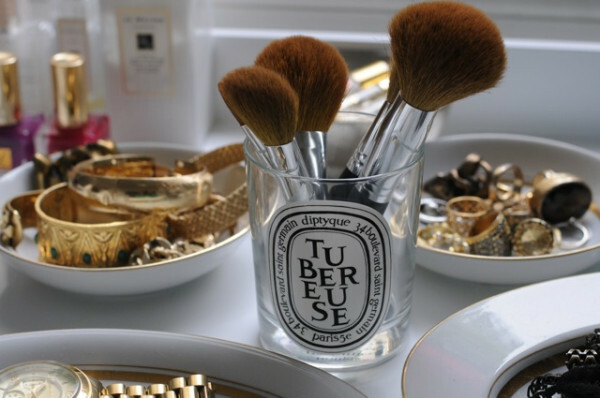 As my stash multiplies, I'm going to use a Diptyque Baies candle as a holder. There are some items, like certain eyeshadow palettes, that I don't put in my Muji case for easy access. In those instances, I rest them on a pretty tray. I love this one from Design Darling, and it's only $40. Hope this helps. 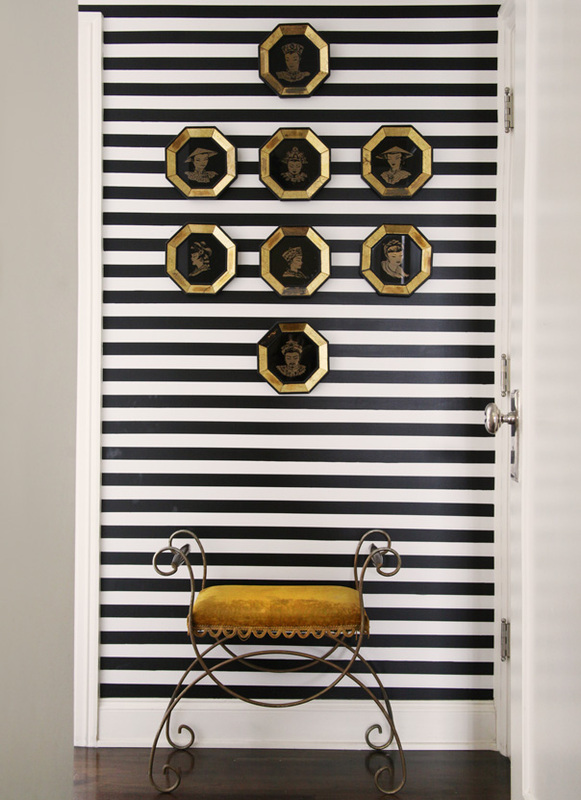 And check out my previous 'Beauty Meets Decor' posts. 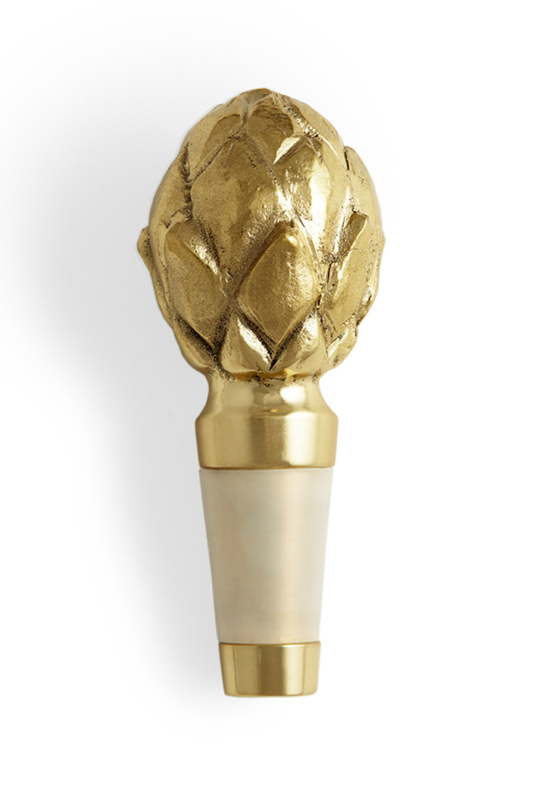 This artichoke wine stopper ($75) from Aerin Lauder's home line will put a smile on your face with every pour. It's great for your own bar or even as a hostess gift. I love that it's made of brass, which means it's super durable, and it'll definitely make every wine bottle look way more chic. Once again, New York Magazine Design Editor Wendy Goodman will host the Winter Antiques Show Young Collectors Night event at Park Avenue Armory on Thursday, January 31 from 7 - 9 p.m. in NYC. The event brings together antiques lovers, including well-known interior designers (think Nate Berkus, Steven Gambrel, Bunny Williams), for a special celebration of the Winter Antiques Show, which runs from January 25 - February 3. It's always a good time. Here's a taste of what you'll see at the show should you decide to attend. 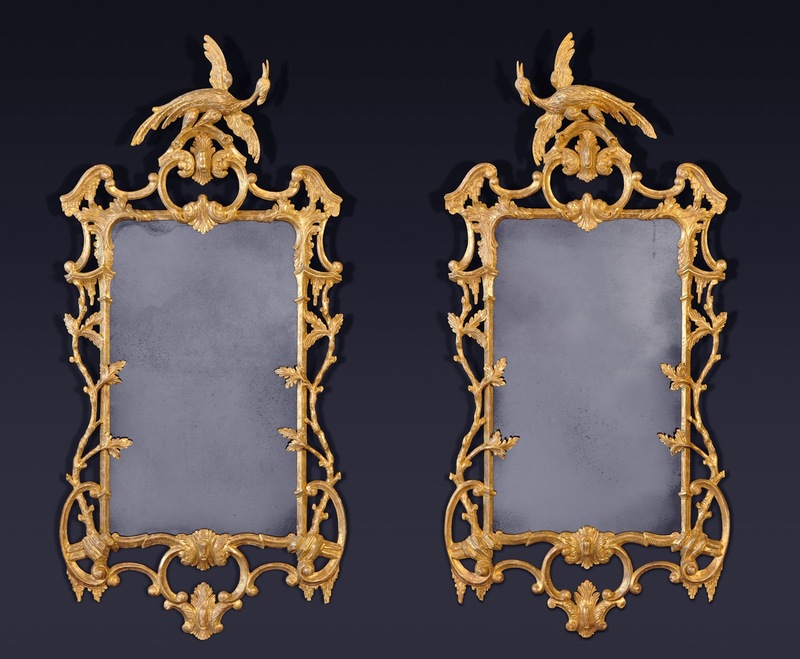 George III Giltwood Mirrors. c. 1775. 54 1/2 in. h. x 27 in. w. Hyde Park Antiques. Keshishian. 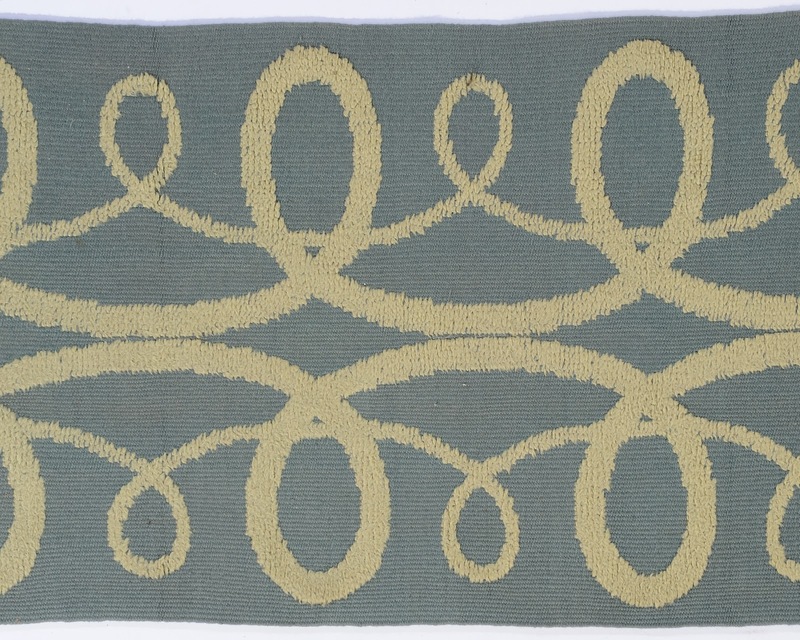 An Art Deco/Modernist Movement runner made at the Wilton Royal Factory. Wessex, England. 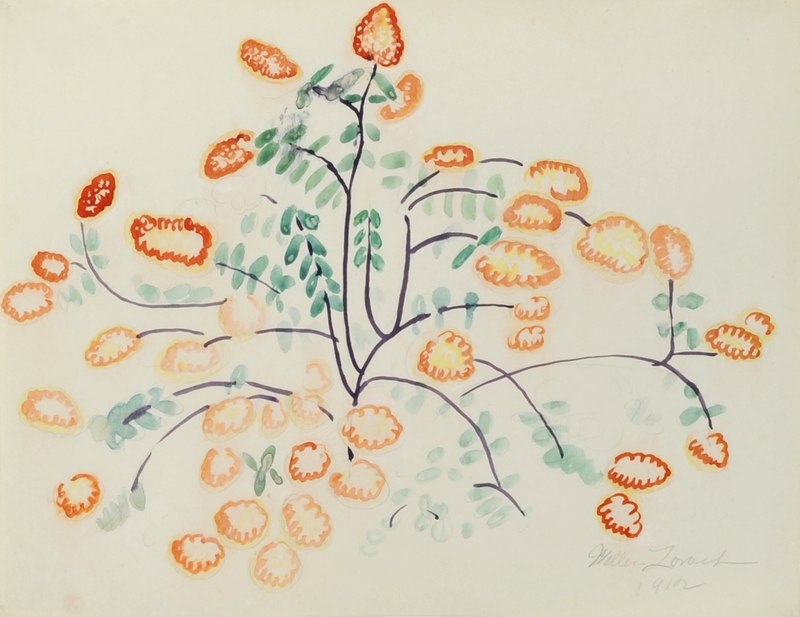 Designed by Marion Dorn (1896-1964). Signed: DORN. 15ft 5in x 3ft 5in. William Zorach (American, 1887-1966). A Beautiful Bush in Bloom. 1912. Watercolor on paper. 8 1/2 x 11 in. Gerald Peters Gallery. 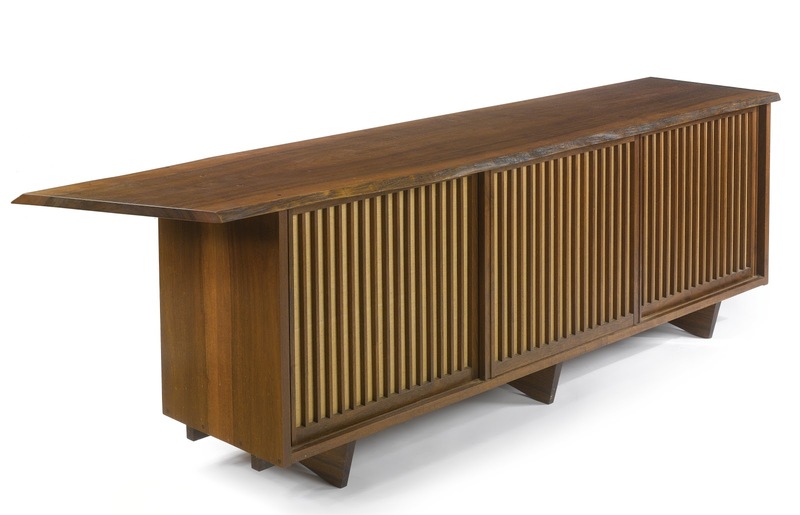 Triple sliding door wood cabinet. George Nakashima. American. 1968. East Indian laurel. Moderne Gallery. 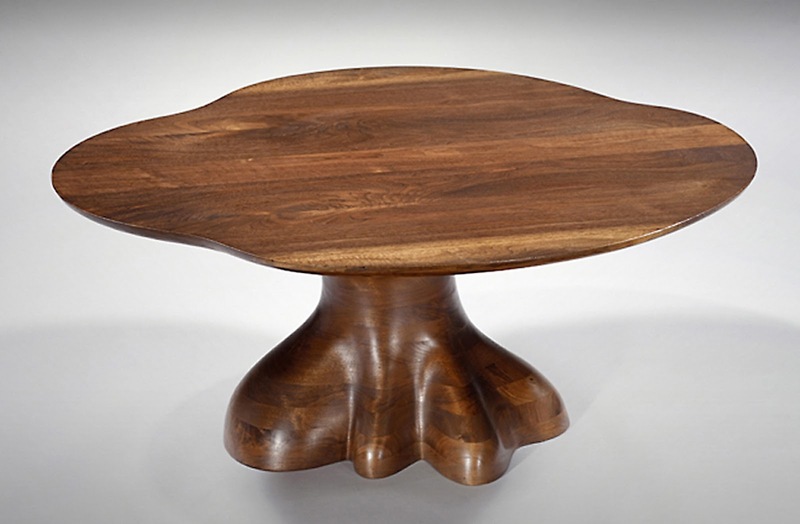 Stack laminated walnut coffee table. Wendell Castle. American. 1977. Moderne Gallery. A wreath is one of those elements that instantly adds a dose of holiday spirit to a home. Some of us like the simple, traditional style to decorate our front door and others want more of a twist—a ribbon design anyone? 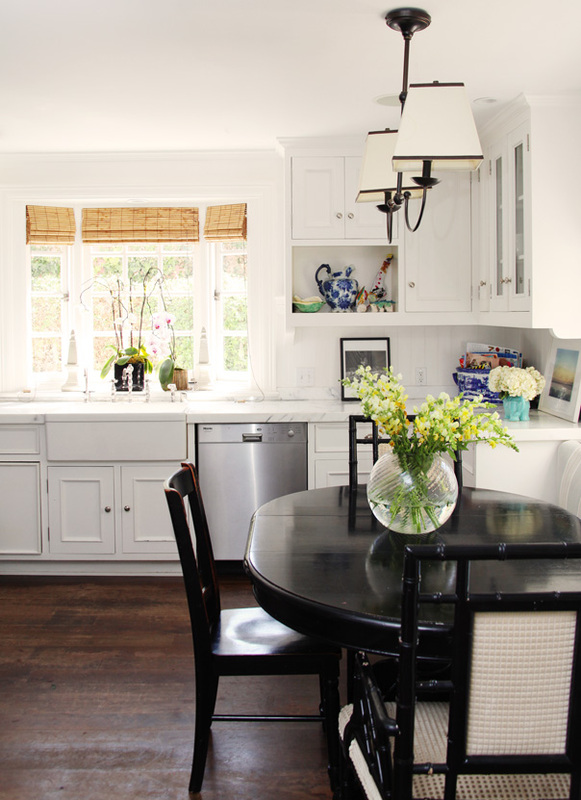 Whatever your decorating style, I found six stylish (and affordable) options that are just too hard to pass up. The much-talked-about book, Grace: A Memoir, about the life of Vogue Magazine Creative Director Grace Coddington has been really entertaining so far. Her descriptions of interacting with Vogue Editor in Chief Anna Wintour are so good, and reading about her upbringing and time spent modeling reveal how she has managed to become successful in publishing. Lessons from Madame Chic: 20 Stylish Secrets I Learned While Living in Paris. I've always been obsessed with French culture. And this sentiment has only escalated after my two visits to Paris. If you're all about living simply, but with style, of course, you'll love this book. 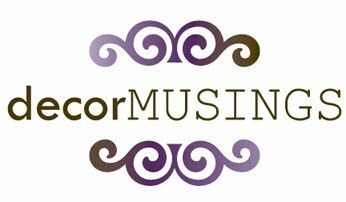 The author, Jennifer Scott, also has a great blog called The Daily Connoisseur. The new Billie online magazine from Lili Diallo, a former Domino editor, launched. I can never get enough of seeing how stylish people live. The Butler's Guide to Running the Home and Other Graces is a must-read because you can't decorate with untidy digs at all. I'll forever be obsessed with tips on keeping a home in order and who's better to dish out advice than a butler, right? 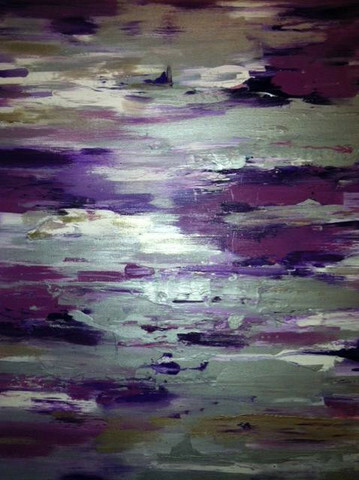 This 'Iris' painting by Liza Matthews is everything. Enough said. 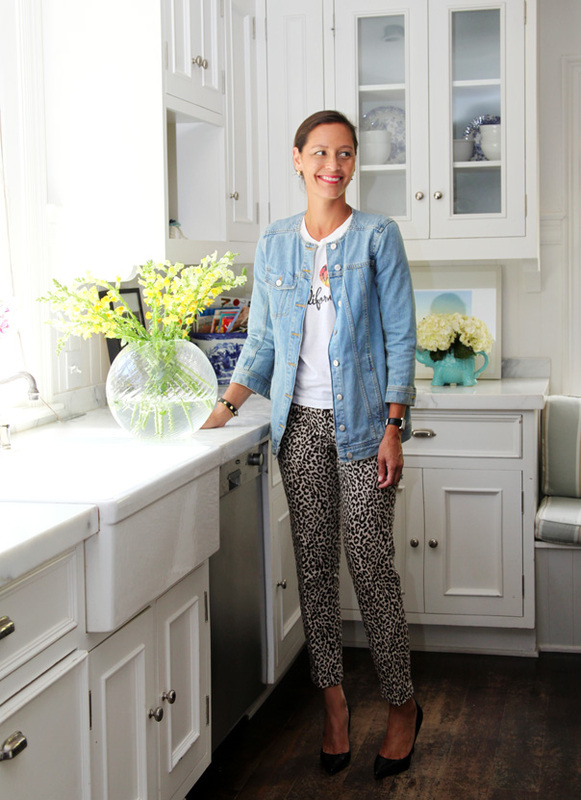 Marlien Rentmeester, the West Coast editor of Lucky magazine, runs this amazing fashion blog called LE CATCH. I'm not kidding when I tell you that I read this blog just about every day. It's really become part of my morning routine. Marlien has a way of finding the most stylish clothes and accessories—both high- and low-end—that you likely haven't seen covered in every fashion magazine or online outlet. And she shares creative ideas on putting outfits together that are always on trend. I really wish she'd right a book or launch a fashion styling business if they're not in the works already. Come to think of it, I remember meeting her at Lucky FABB (Fashion and Beauty Blogger Conference) earlier this year. I know I sound like such a groupie, but if you check the blog you'll see what I mean. Anyway, her sense of interior design is just as impeccable as her fashion taste. 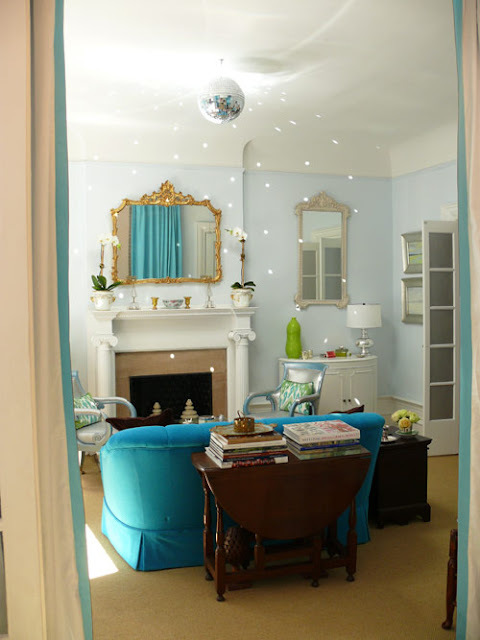 So being the little private investigator that I am (ha), I wanted to read up on Marlien and couldn't have been more excited to discover that Glitter Guide posted a feature on her Los Angeles home. It's absolutely gorgeous. I hope you enjoy the photos as much as I do. This is how you mix leopard and denim. The piping on the sofa complements the throw pillows, ottoman, and even the throw on the armrest. It's the little things. Black and white = chic. 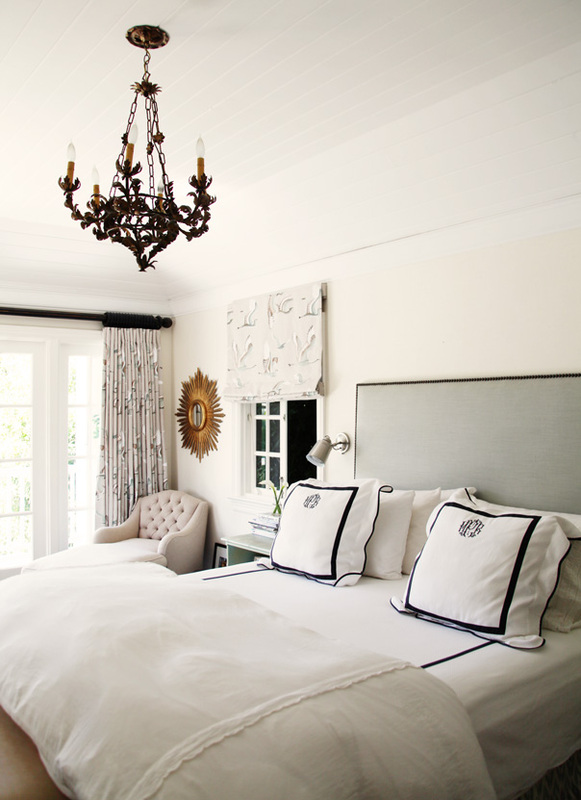 An airy-feeling bedroom with simple bedding goes a long way. That jacket. That pillow. That chevron floor. Those roman shades. In love. See this sequin apron from BarbaraAnne would make me want to whip something up in my kitchen every single day. Soooo good. And it's just $50. 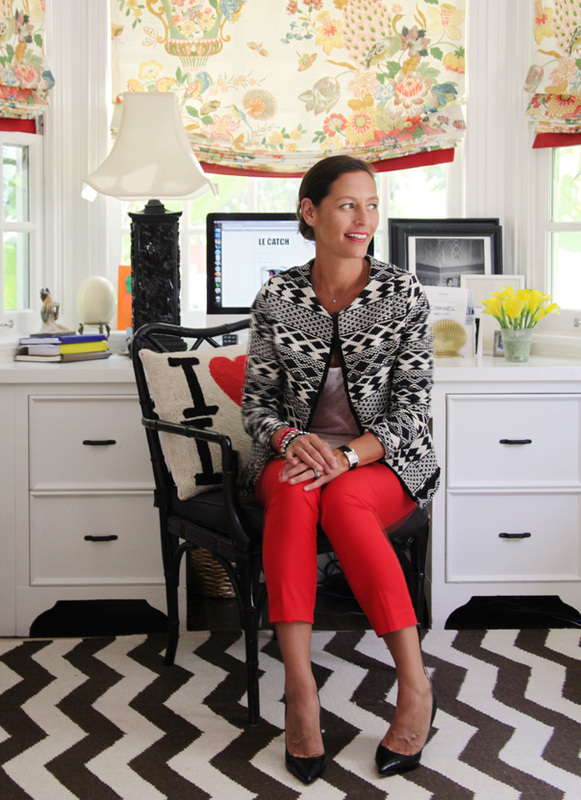 I'm Featured on Interior Designer Robin Baron's Blog, Simplifying Fabulous! I just realized that I never posted this, but it's never too late, right? I was featured on New York City-based interior designer Robin Baron's blog, Simplifying Fabulous, sharing my decorating secrets and personal passions. It was such a fun interview. Thanks again, Robin. It's easy going green, right? 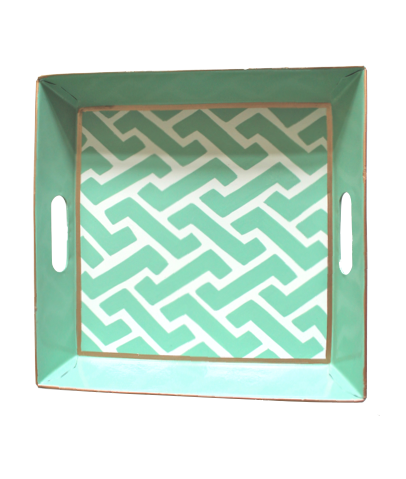 As Pantone has named emerald as the go-to color for 2013, I just had to have some fun in pinpointing the most stylish home accessories for you to get a headstart on the trend. Whether you're in the market for a comfy pillow or a chic bowl to add a pop of color to your office desk, it's all right here. Enjoy my finds. Sheer shawl, target.com; CB2 9 Square Clover 18" Pillow, cb2.com; Chic Shop Small Malachite Bowl, chicshopla.com; Ribbon Stripe Storage Jar, leifshop.com; Green Metallic 12" Handipt Tapers Dinner Candles, colonialcandle.com; Green Leather 2013 Pocket Planner, calendars.com. Have you heard of Have to Have? It's one of few websites that I've experienced that have managed to tastefully add a social aspect to the shopping experience. You can compile lists of your favorite items across the Web and share them with others. I had a little fun on the site this week, and put together a fun round-up of 10 gift ideas for decor addicts. Shop away. I promise they're fab. 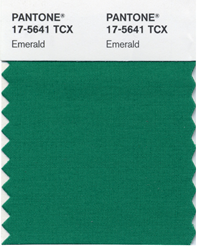 It's always fun to discover Pantone's color of the year, and for 2013, the company says it's all about emerald. It's not my favorite color (I have to be honest) but it is pretty and I'm sure there will be stylish home accessories on the way, which I can never get enough of. Do you like decorating with emerald? On Saturday, I swung by the Etsy Holiday Handmade Cavalcade in Williamsburg, Brooklyn, to check out items from artists that have a unique perspective on everything from clocks to light switches. Especially with the holiday season among us, it's always helpful for me to discover gift ideas that are super special. And Etsy is always one of my go-to websites when it comes to shopping, so I just had to attend this event. Enjoy my pics. New York Clocks offers battery-operated clocks designed out of boxes, book covers, postcards and tins. Clever, right? I live for a pretty light switch cover. 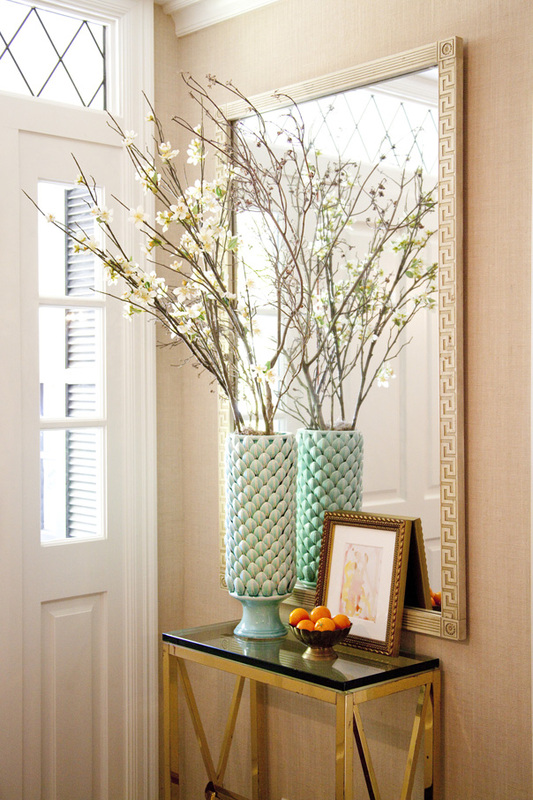 It's one of the little things that I don't think should be overlooked when decorating a home. I ended up buying these two from Lovely Day Designs for $12 each. Pretty bamboo scarves and baby blankets courtesy of Fiber Dance Weaving Studio (sorry the company's website is inactive). Her textiles felt so very soft. Fritz & Fraulein iPad and laptop cases made from men's suits at none other than Barneys New York. Although I especially loved the cases, only a certain kind of guy would appreciate accessories like these. You know what I mean.